We took our incredibly popular Pepper and Onion Relish and brightened it up with orange peel and orange juice. This citrusy sweet pepper relish is expertly crafted with tomatoes picked at their peak, spicy jalapeños, vibrant red bell peppers, and vinegar. 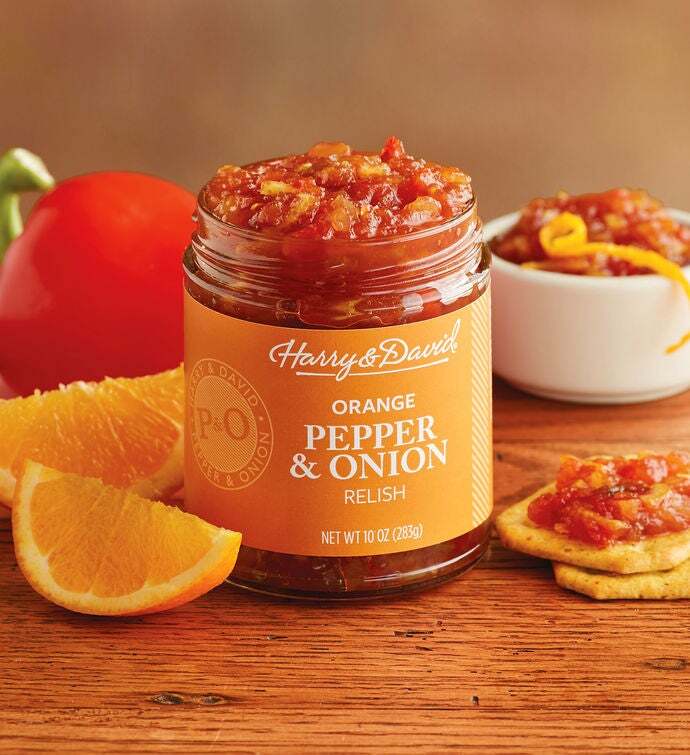 Delight in adding orange relish to a variety of recipes for extra flavor. This is a gourmet condiment you'll want to keep on hand.